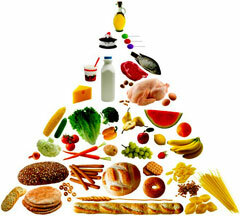 Nutrition involves the intake and utilization of food substances by our bodies. Proteins, fats, and carbohydrates (in the form of sugars and starches) supply us with the calories that we need for energy. Vitamins, minerals, and dietary fiber supply our bodies with other important nutrients. In addition to these nutrients, water is an essential element to a healthy diet. Zacks Equity Research. Zacks. Tuesday, 23 Apr 2019 14:41:00 GMT. All Africa. Sunday, 21 Apr 2019 06:51:35 GMT. Vitamins help our bodies perform their metabolic functions. Water-soluble vitamins, including the B vitamins and vitamin C, are excreted quickly, but fat-soluble vitamins, including A, D, E, and K, are stored in the body. Vitamin deficiencies can cause certain diseases, but excessive amounts of fat-soluble vitamins can also lead to health problems. A balanced diet supplies adequate amounts of most vitamins, but certain vitamin supplements may benefit people with specific health or nutrition requirements. Minerals have many uses in our bodies. The functions of iron, calcium, sodium, potassium and magnesium are well-established; the benefits of various trace minerals have also been researched to some degree. Dietary fiber helps us digest food, can lower cholesterol levels, and may help prevent hypertension and some forms of cancer. Many adults drink several glasses of water per day to maintain healthy metabolism and hydration levels, and to help remove body wastes. Watch: "An Apple a Day Keeps the Doctor Away"
Various foods contain different amounts and combinations of nutrients, and a varied diet will generally ensure adequate nutrition. Nutritional supplements may help to compensate for a lack of specific nutrients in a person's diet, but they are no substitute for a healthy diet. The United States Food and Drug Administration and other organizations research nutrition issues and provide nutritional guidelines; these guidelines have been modified and refined over time. NutritionInformation.us features convenient access to several nutrition information resources, food supplier directories, and nutritional supplement suppliers. Nutrition coverage includes food facts, food safety, life cycle issues, and health management, as well as food assistance, research, and resources. Website topics include dietary supplements, food composition, dietary guidelines, food guide pyramid, consumer and teacher centers. Food safety and nutrition information, including food insight articles and a glossary of food-related terms. Features a series of articles on general nutrition, kids & nutrition, and improving your nutrition. This website is operated by the American Academy of Family Physicians, a national medical organization representing family physicians, family practice residents, and medical students. Nutrition information published by the U.S. National Library of Medicine and the National Institutes of Health. Foods, fitness, and health. Get your personalized nutrition and physical activity plan. Track your foods and physical activities to see how they stack up. Get tips and support to help you make healthier choices and plan ahead. This Canadian government publication is designed to help persons choose food wisely. It translates the science of healthy eating into a practical pattern of food choices that meets nutrient requirements, promotes health, and minimizes the risk of nutrition-related diseases. Learn about the importance of nutritious food, and view several food-themed videos. Directory of health food and diet food manufacturers in the United States. Each directory entry lists contact information and includes a direct website link. Extensive directory of local health food and diet food retailers throughout the United States. Each directory entry includes contact information, category tags, and a website link. Guide to alternative health and anti-aging medicine. Nutritional supplements, vitamins and minerals, and health advice from a respected source. This authority on natural healing therapies and treatments features a health library and stresses the importance of nutrient supplements for overall health maintenance.